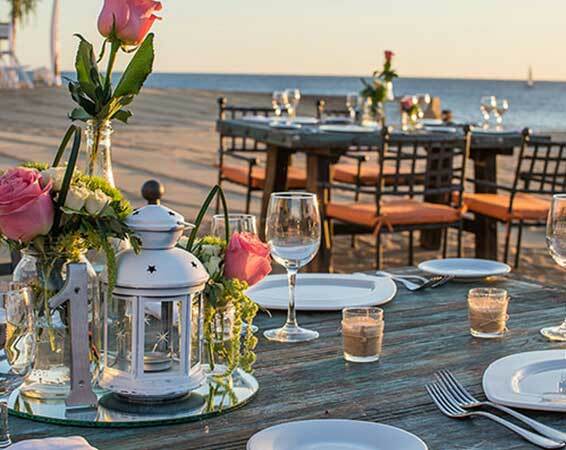 Design the wedding of your dreams with custom packages from our oceanfront Cabo San Lucas resort. Commit together amid pristine white sands and ocean waves, while receiving expert attention from our seasoned planners. From hair and makeup to catering, flowers and ceremonial services, we take care of every critical detail, so you can relax and enjoy your big day. 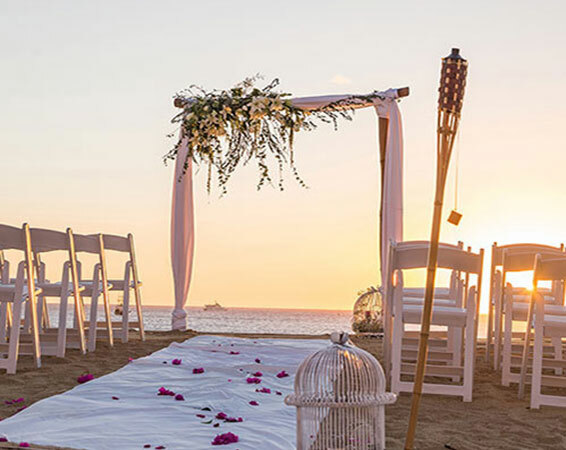 Your love story deserves to be told at the ultimate Land's End resort in Cabo. Embark on your joyful journey and experience magical moments with family and friends, while enjoying inclusions like sparkling wine and a romantic turndown on your wedding night. Services of the Judge (legal wedding) or Minister (symbolic wedding). 20% discount on Spa massage. Beautiful huppa on the beach, decorated with flowers and white fabric overlooking to the ocean. One Makeup or Hairstyle or One Deluxe Pedicure .